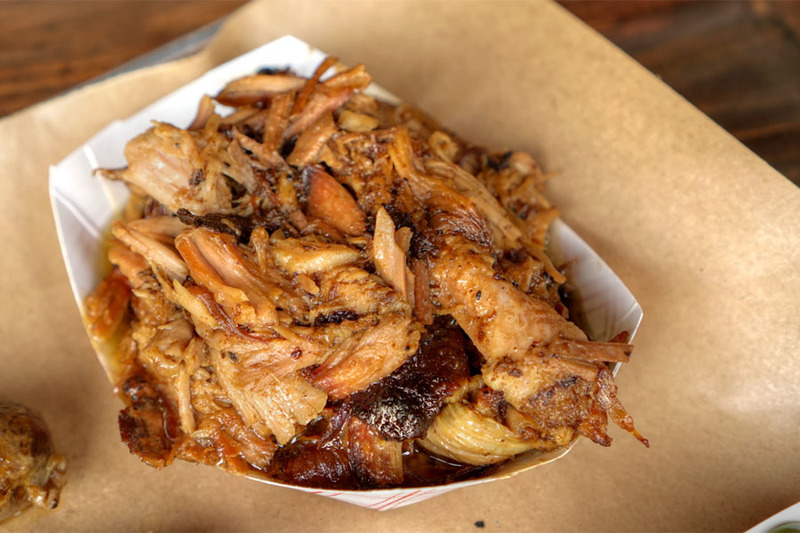 My latest hankering for barbeque brought me to Koreatown and the new Boogie McGee's Bayou Smokehouse BBQ (it's named after the owners' Yorkshire Terrier). The place grand-opened on May 16th in the Brown Derby Plaza spot that was previously home to Cyber Zone arcade. 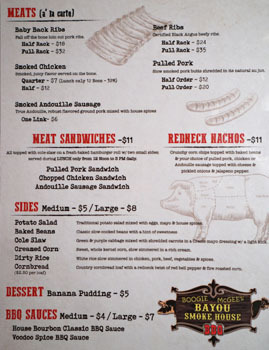 The restaurant comes to us from Chef/Owner and self-professed "redneck" Kirk Kimball. Kimball was raised in the beachside town of Pass Christian, Mississippi, and grew up surrounded by food, as his family ran a seafood business. He attended high school at Saint Stanislaus in nearby Bay Saint Louis, and at a reunion some years later, met and fell in love with Bach Hoang, another Pass Christian native. Hoang had moved to LA in 1999, and so in 2010 he followed her here, the two eventually taking up residence in Harvard Heights. The couple opened the K-Town franchise of The Boiling Crab in 2011, got married in February 2014, and started the build-out of Boogie McGee's in 2016. 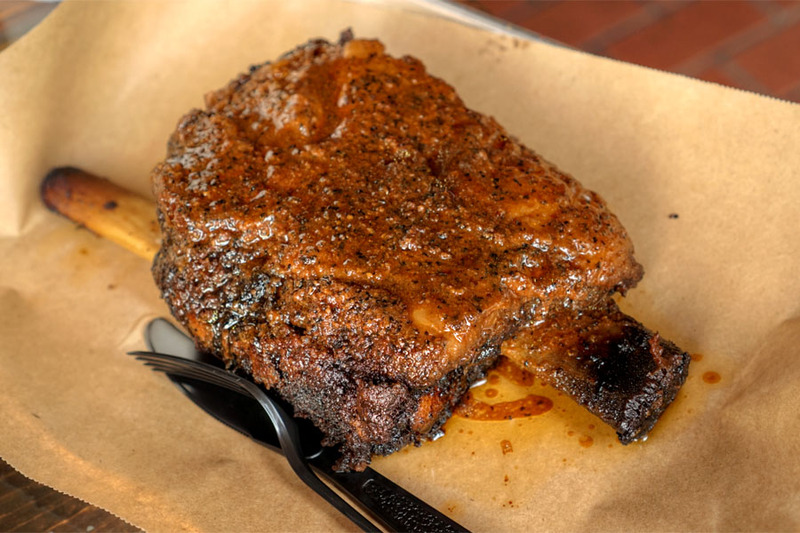 Boogie McGee's features oak-smoked, Mississippi-style, dry-rubbed meats in a variety of cuts. These are joined by your requisite combo plates, sandwiches, and appropriate sides. 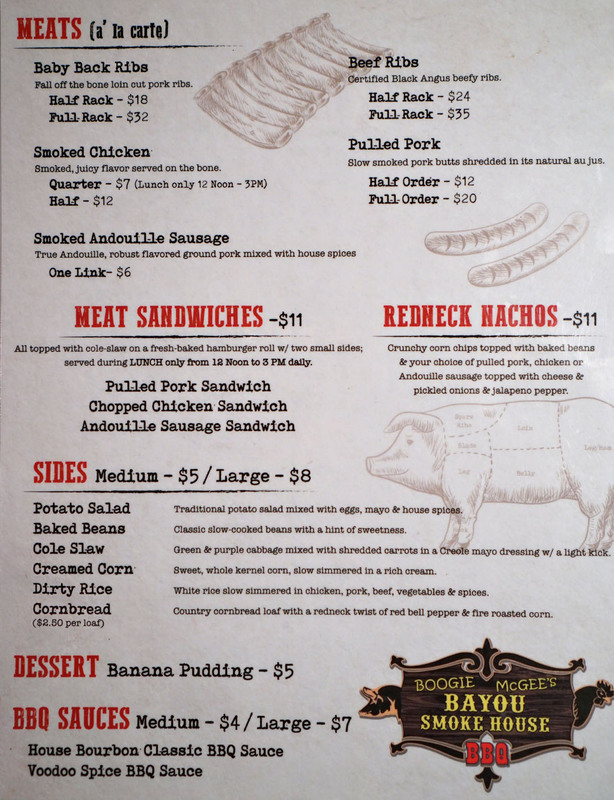 What's shown above isn't quite complete, so be sure to take a gander at the chalkboard menu inside. To drink, you get typical beers from the bottle and from the tap. Click for a larger version. We began with this sort of elevated rendition of Frito pie. 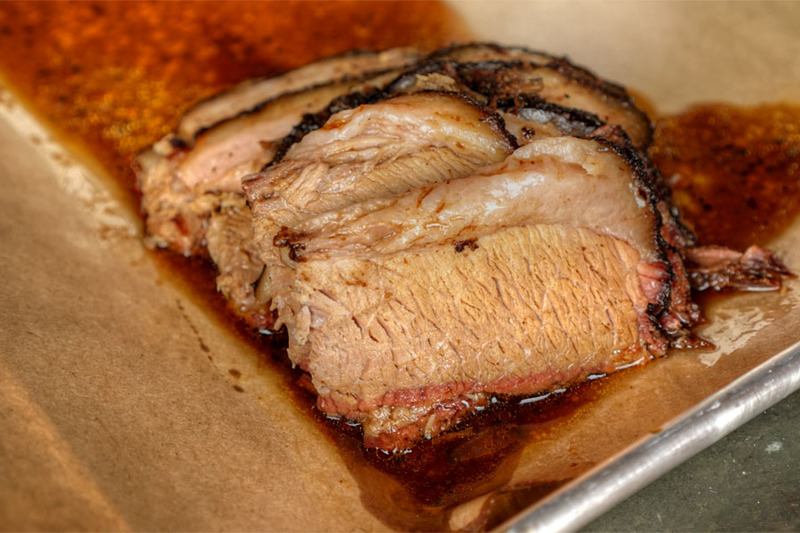 You get your choice of meat, and we opted for the brisket, which had a sweet-savory thing going on that linked up with the sugary baked beans. Fortunately, the onions and peppers provided a zippiness and spice that lifted the dish, and of course the crunchiness of those corn chips was key. In addition to a couple draft pours, we also went through a few bottles/cans. 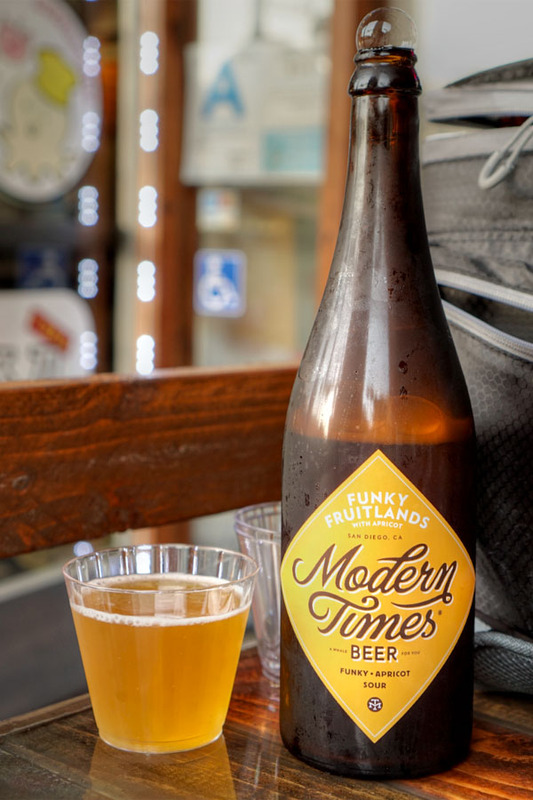 First was the 2017 Modern Times Funky Fruitlands with Apricot, a Brett'd gose. Nose was a commingling of light funk and stone fruit. The taste went tart, acidic, puckering at first, with a bit of a grassiness. The fruit really only came in on the finish, which had an abundance of almost candied apricot. 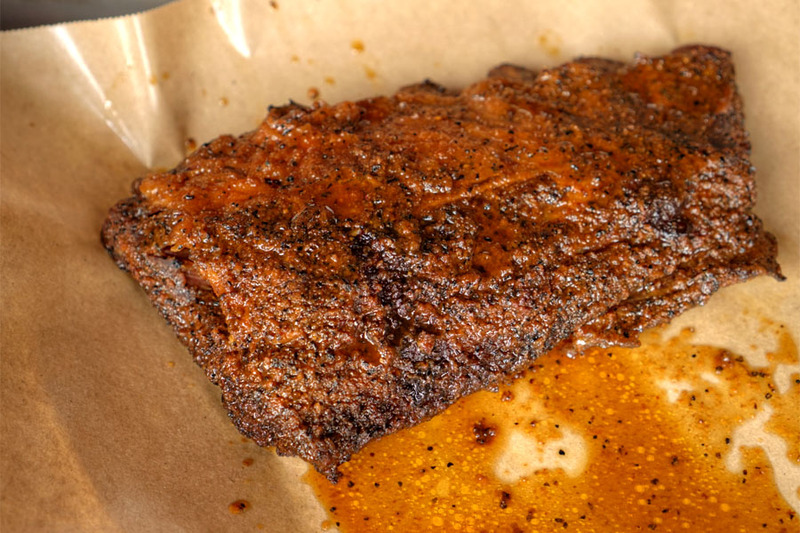 Brisket was near falling-apart tender, with a good amount of fattiness to boot, while flavors were savory, but with a sweet-ish undertone. I would've liked a touch more smoke character however. 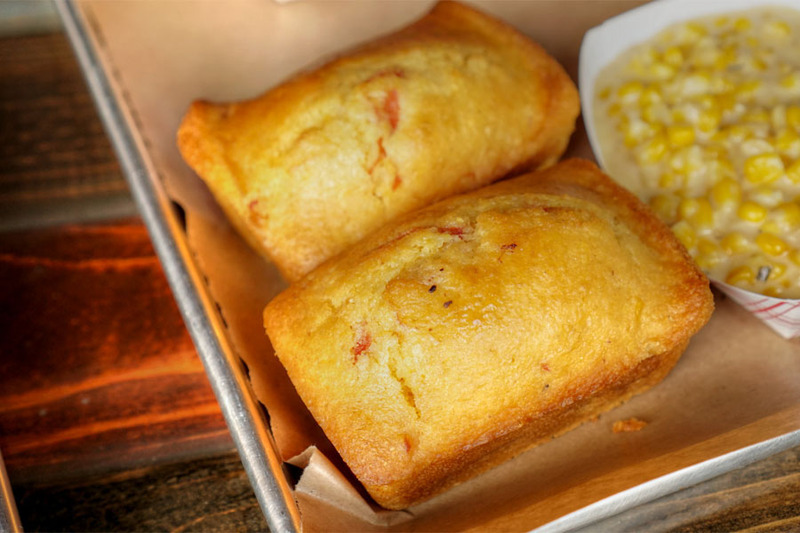 The cornbread delivered: classic at its core, with a slight grittiness, the right dose of sweetness, and a welcomed addition from the peppers and corn. 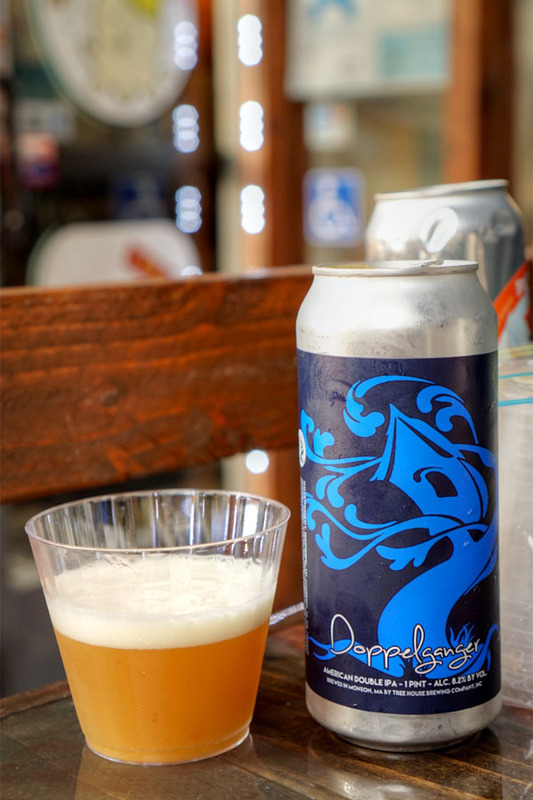 Next to drink was the 2017 Tree House Doppelganger, a dry-hopped American double IPA. This one smelled decidedly dank, and had a funky, acrid element. On the palate, I found it expectedly hoppy, with a lingering, juicy citrus quality on the finish. Pork ribs came out tender, moist, with a substantial bark. Flavors were porky, but with a somewhat sweet backing and an herbaceous quality that I really liked. 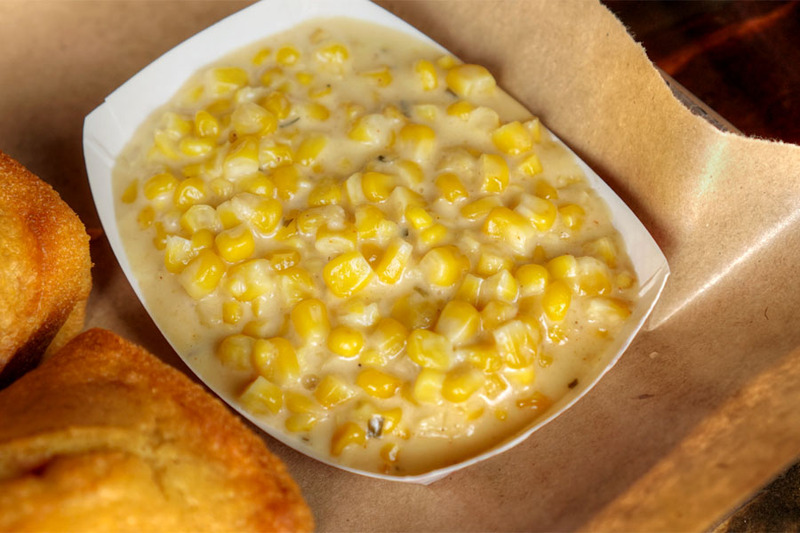 The corn was very, very sweet, with an almost candied character that was too much for my liking. 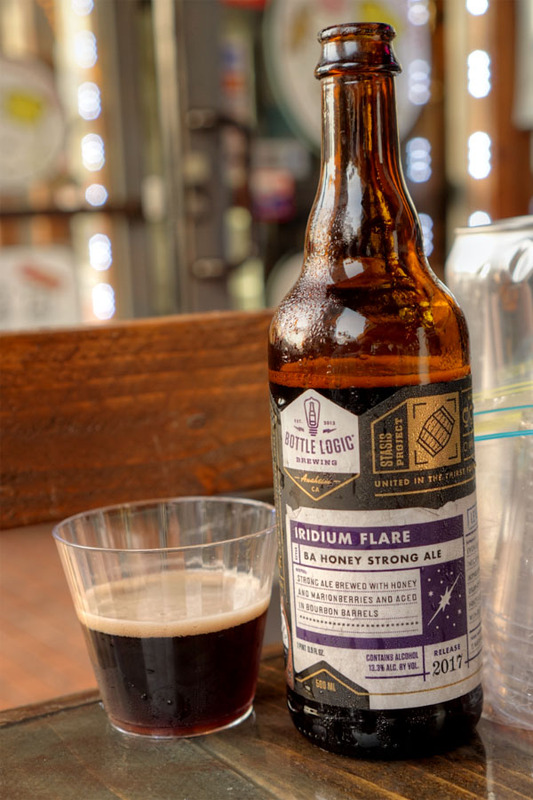 Created in collaboration with Arizona's Superstition Meadery, the 2017 Bottle Logic Iridium Flare was a strong ale brewed with wildflower honey and marionberries (basically a braggot), then aged in bourbon barrels for nearly a year. Its bouquet was sweet and malty, with loads of dark fruit and apparent honey. The palate was viscous, and displayed more rich, tart, lingering berry layered over a base of honey. A welcomed change of pace. 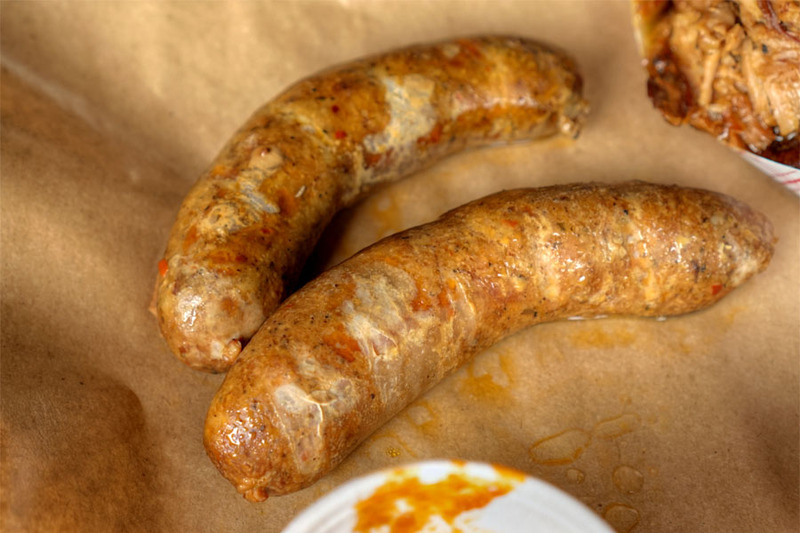 The andouille was a winner, a gritty, rustic, unabashedly savory sausage with a wonderful creeping spice and herbiness. Yum. 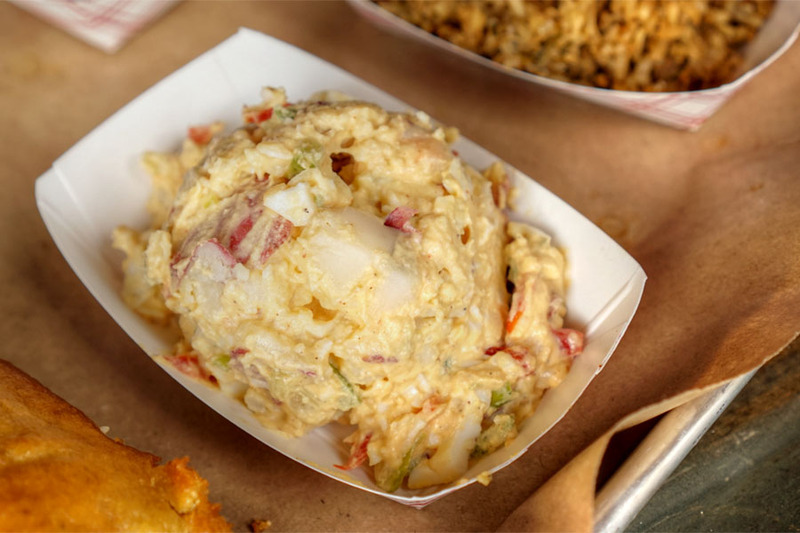 I'm a big potato salad fan, and I have to say that this was one of the best I've had (apparently based on a recipe from "Aunt Eunice"). I loved the large chunks of potato here as well as the lushness of those eggs, but what put it over the top were all the veggie bits mixed it, which contributed both texture and zestiness. Pulled pork came out properly soft, and showed off a distinct sweetness to go along with the charred, bitter bits present. 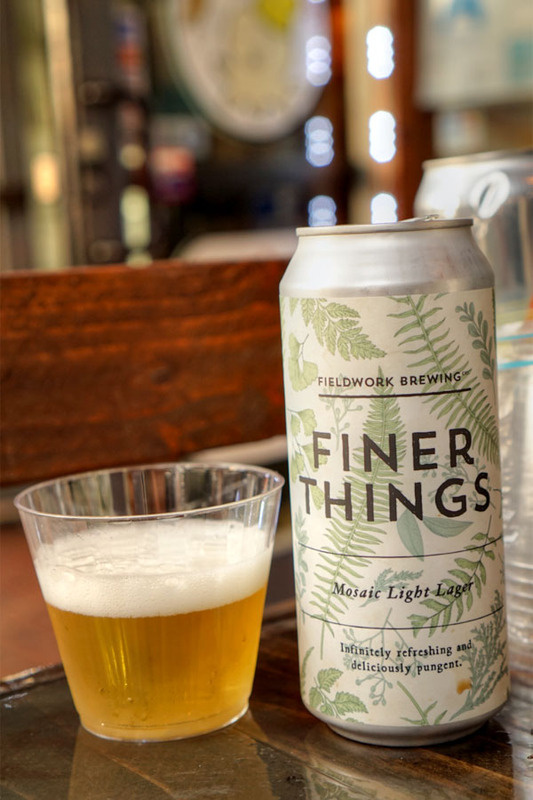 The 2017 Fieldwork Finer Things was a light lager hopped with Mosaic. The nose was hoppy, grassy, and surprisingly sharp. That bracing character continued on to the palate, which I found bitter and dank, with a touch of lemon. Refreshing, and almost like an easier-drinking IPA. 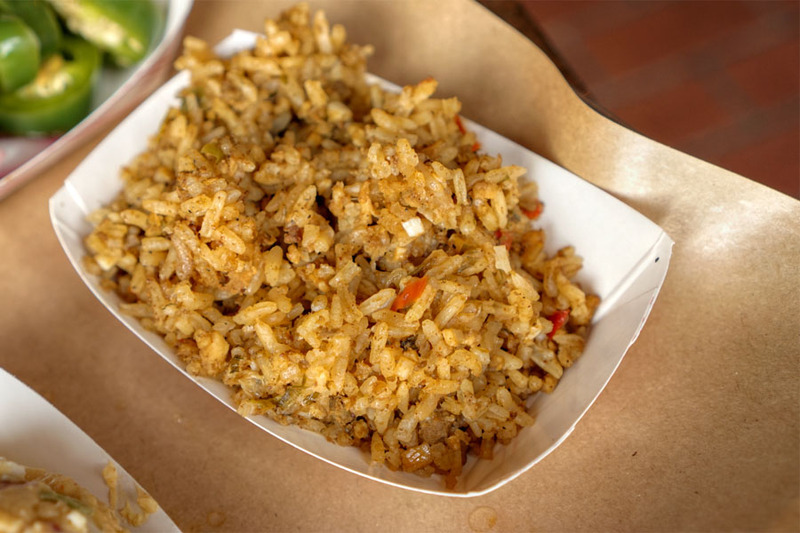 The dirty rice was all about down home comfort with its classically savory, cozy flavors. My second favorite side behind the potato salad above. Be sure to give it a try. The beef short rib was undoubtedly my favorite meat of the meal. Texturally, it tore apart with almost no effort, and I was a fan of the contrast provided by the bark. Flavor-wise, think beefy and deeply savory, with an aggressively seasoned crust that served as the perfect accent. 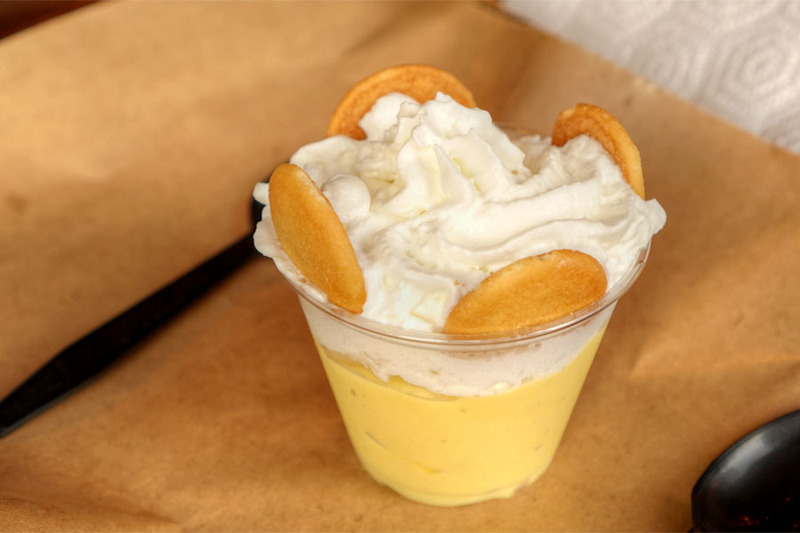 This is the one to get--delish. Beans were advertised as having a "hint of sweetness," but to me, they were on the verge of being cloying. 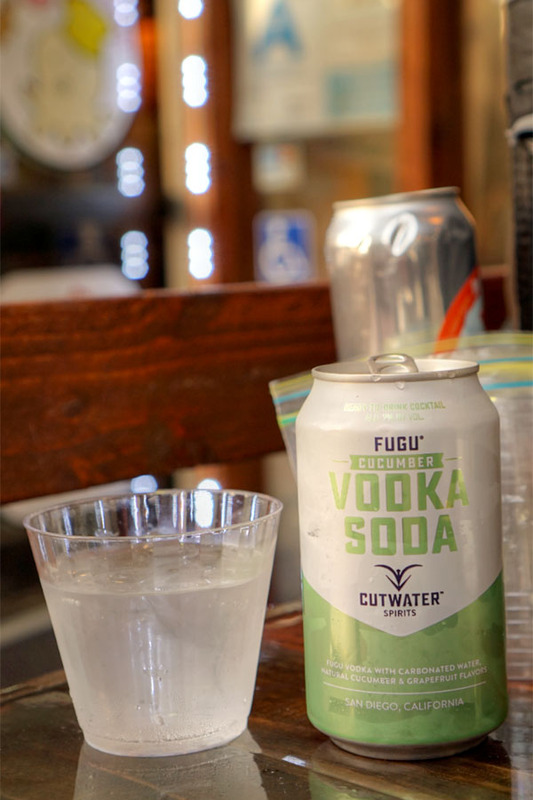 We ended with a non-beer beverage, the Cutwater Fugu Cucumber Vodka Soda, which is basically Fugu vodka with carbonated water and cucumber/grapefruit flavors. The aromas were of bright, fresh cucumber--not bad. The taste went in a more astringent, bitter direction (one of my dining companions likened it to "cucumber skin"), and you definitely tasted the booziness of the vodka on the back end. I actually didn't get much grapefruit. 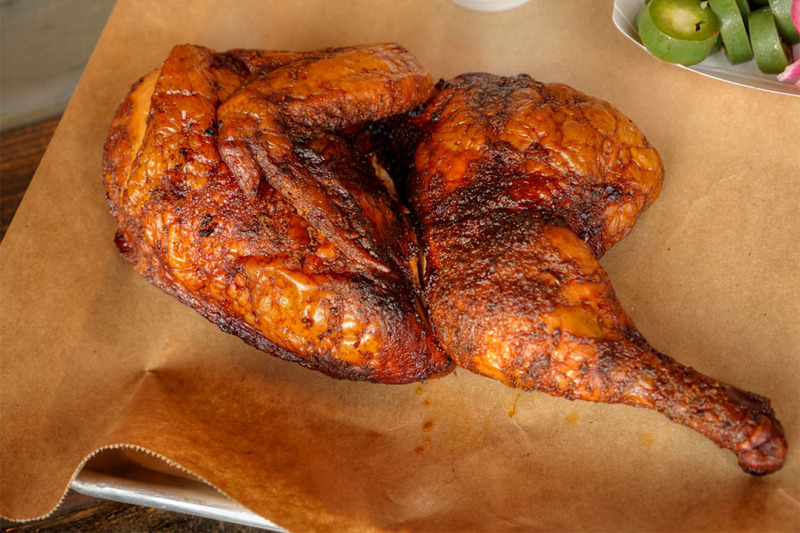 We wanted to try all the meats on the menu, and last up was the chicken. 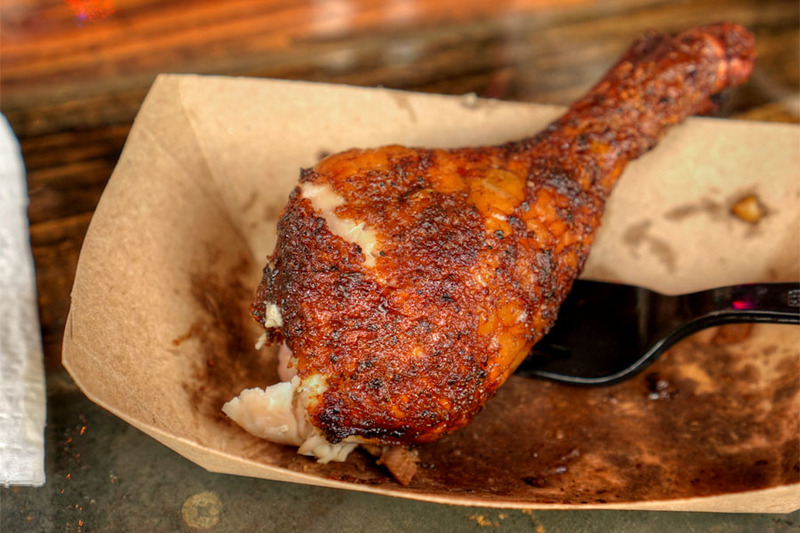 I started with the drumstick, which I found well-textured and quite tasty. Unfortunately, the breast was on the drier side, though nicely seasoned, and I did enjoy its skin. 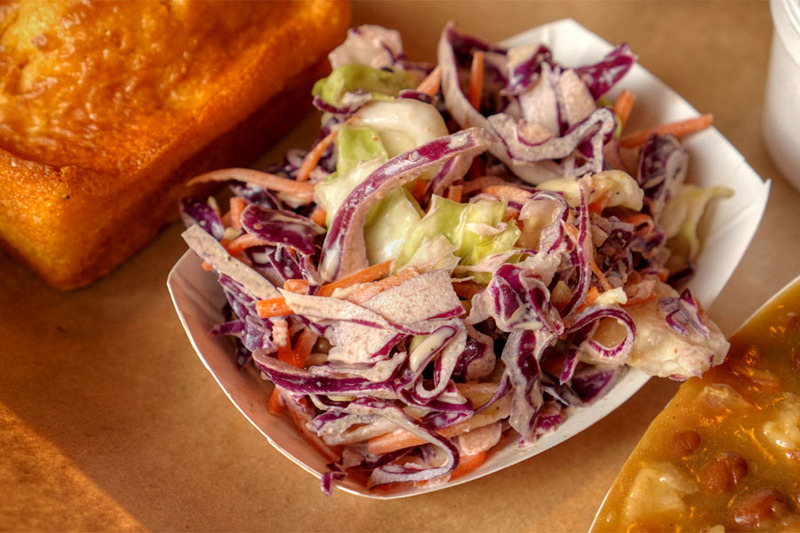 The coleslaw was another standout. Again, I liked the big, crunchy pieces of cabbage, as well as how the bitterness of the veggie was highlighted. Nice use of the mayo to tie it all together, too. Our sole dessert showcased some quite artificial, but satisfying flavors of banana that one of my fellow diners likened to Korean-style banana milk (you know the one, the bananamas uyu made by Binggrae). The Nilla wafers were a natural pairing that just worked. We had a lovely time at Boogie McGee's, and I'm glad to see the restaurant in this neighborhood. 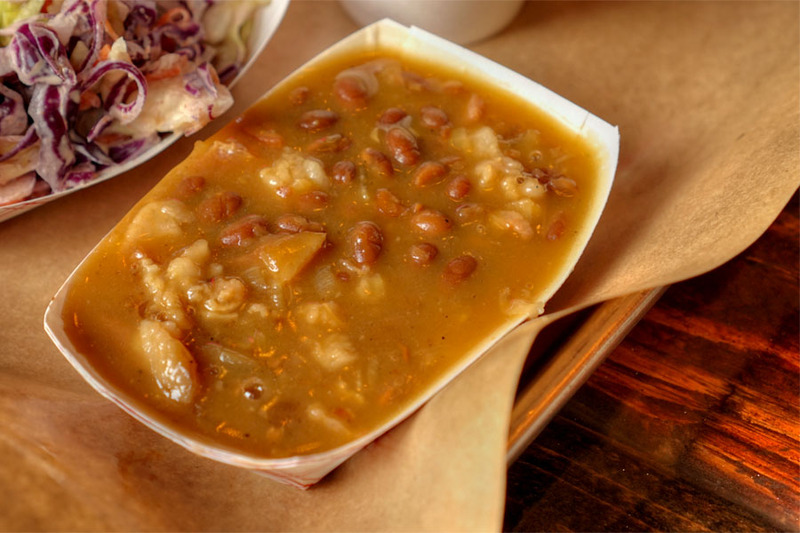 With its "Mississippi-style" smoked meats and sweeter tendencies, it's a bit different than a lot of the BBQ joints in LA, which tend toward the Texan tradition. Let's hope this place sticks around. Hey Kevin, I hope you don't take this the wrong way but...Do you ever try to pair your BYOB with what you're eating? Or is the BYOB just about showing off whatever cans/bottles you've recently acquired? 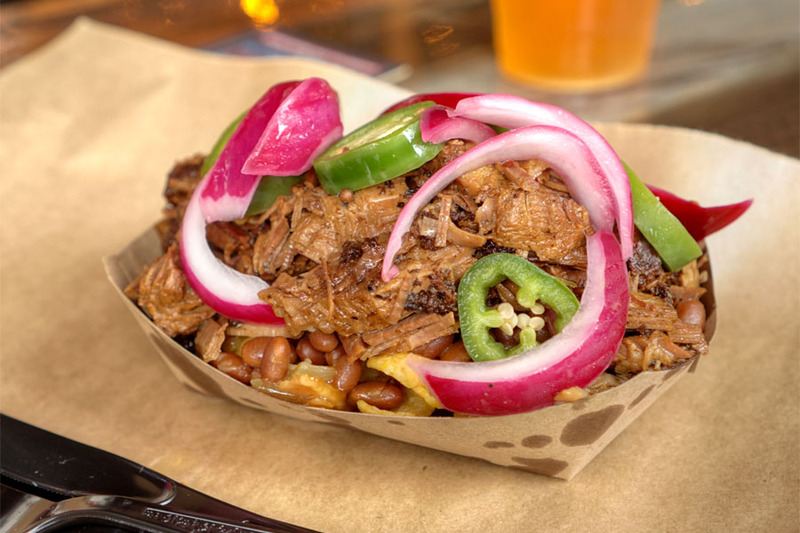 It might not impress beer nerds to bring a malty English ale or a dry cider to a BBQ restaurant but if your goal is to put forth respectable food criticism your current methods are doing both the beer and the food a disservice. It'd be one thing to have posts entirely devoted to your epic trade hauls and bottle shares, but it's another to try to pair pastry stouts with yakitori, which would be elevated more by a pilsner. Just a thought, from someone who appreciates what you do but thinks you should care less about craft beer cred and more about food critic cred. There's typically not much of an attempt at any sort of pairing (often times I may not even know what I'll be eating). It's more of a "grab whatever I have handy in my fridge" sort of thing. I need something to drink with my meal, and I don't like drinking significant amounts without food, so two birds with one stone I guess. I try to take in the food and beer separately, though sometimes there is a fortuitous pairing, such as the combination of a Hummingbird cake and coconut-coffee porter that happened recently. beer elevating food. hehehehehehehehehe. hehehehehe.